Midas Grade choke tubes use the long taper technology of Invector-Plus, but produce tighter patterns. It extends beyond the barrel for easy removal and installation, no wrench necessary. It uses minimum gap geometry plus a high resolution "RMS" finish to reduce buildup of plastics in the shotgun bore. 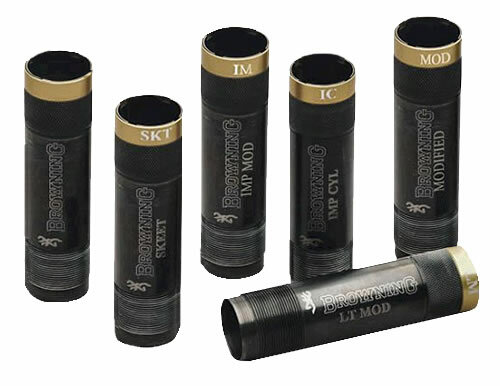 These tubes are stainless steel with a black oxide finish and a laser-etched gold accent band. When used in Browning barrels, the barrels must be threaded for Invector-Plus.